CLINICAL TRAININGS AND INTENSIVE COURSES OF ACUPUNCTURE AT CHINESE MEDICINE UNIVERSITIES AND HOSPITALS OF CHINA. Study and learn Acupuncture technics, Tuina, Moxibustion and Chinese Herbal Medicine at public hospitals with real patients. 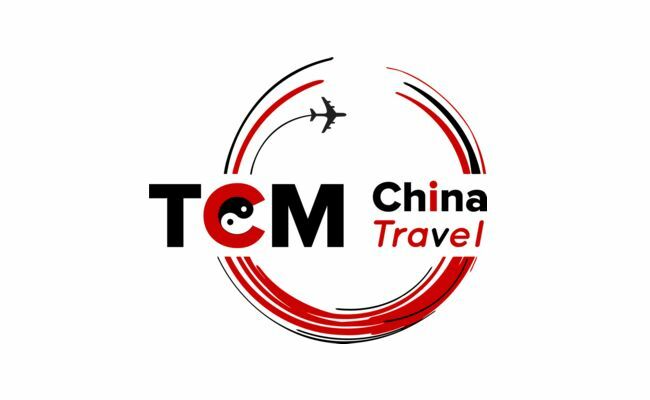 Trips are hosted by TCM Universities, lead and organized by our Western tour leaders to guarantee quality standards, and the training is provided by great Chinese Doctors. The courses will let you improve your therapeutic skills, get top quality information about Acupuncture, and give you the chance to learn through the practice of wide experienced TCM doctors in China. Intensive clinical practice in small groups (2-5 people) with English translator. Discover multiple Acupuncture departments such us pediatrics, geriatrics, pain units, traumatology among others. Experience and learn new special technics of Electro-Acupuncture, Guasha, Acupotomology or Herbal Medicine. Designed and organized courses by and for Western Acupuncture TCM practitioners. Extra activities included (Exclusive TCM Tours, visits to Chinese private clinics, Taoist temples…) to make the best use of our time in China. Official certifications from public Traditional Chinese Medicine Universities. Below you can find some of the main hospitals and TCM Universities that host our clinical trainings in China. To get all the information and details about the trips, how many days, dates, prices, you can send us a free enquiry at the contact form. Get all the details about the trainings in China, available places and prices. CHENGDU TRADITIONAL CHINESE MEDICINE UNIVERSITY HOSPITAL. The CDUTCM (Chengdu University of Traditional Chinese Medicine) is based at the capital of the SiChuan province, at the west area of China. Chengdu TCM University is one of the most relevant and prestigious universities in all China where several generations of great TCM masters has been educated and trained. The provincial public hospital situated at one of the sides of the University Campus provide treatments for hundreds of patients every single day. The hospital has some of the most modern facilities and equipment. That way Doctors can offer Acupuncture treatments, Tuina or Chinese Herbal Medicine with the best guarantees and convenience. At the intensive clinical training at the public hospital, we will have Chinese-English translators that have wide experience explaining and translating TCM to western professionals in a comprehensive way. Always in reduced groups (2-5 people) to get the best of every case and technic. We will have the chance to connect with experts of different departments of the Hospital. The most important always will be Acupuncture, Tuina Massage and Herbal Medicine departments. But because the experts use integrated and holistic approaches, we will discover new ways to combine the treatments with other technics such as Guasha, electro-acupuncture, bleedings, Acupotomology and so on. We could consult from the initial interrogation, pulse diagnosis, to the last details of point selection, needle manipulations or herbal forms use nowadays at the public hospitals of the P.R.of China. All the TCM China courses include additional activities besides the Acupuncture and TCM Training. Taichi in the mornings to recharge our energy before the trainings, Qi Gong to learn how to handle our inner Qi, or exclusive TCM Tours around China. Besides, Chengdu has one of the biggest herbal markets in all China, and maybe in the world. So we will have the perfect environment to improve our clinical skills and immerse our self into the millenarian Chinese Culture and wisdom. Good to know: Our Clinical Acupuncture and TCM trainings are hosted by the Chengdu TCM University so all the diplomas obtained after finishing the courses will be certified by a public official TCM University of P.R.of China. We connect you with great TCM and Acupuncture professionals to improve people´s lives. INTENSIVE ACUPUNCTURE TRAINING AT BEIJING TCM HOSPITALS AND TCM UNIVERSITY. Beijing, the capital of China, is one of the most important cities in China to experience the Traditional Chinese Medicine. The Beijing TCM University is on the top 3 best TCM universities of the country and with excellence reputation hosting Acupuncture trainings for westerners. We will make the best use of our time in China so clinical practice will be schedule at modern and traditional TCM Hospitals of Beijing with several departments treating thousands of patients per day in a completely integrated way. Trainings also include clinical observations in small groups (2-5 people), lectures, practical skill sessions with the hospital’s finest doctors, and exclusive China Tours designed by TCM China Travel. + We will also visit private TCM Hospitals and Clinics of Beijing. Our Acupuncture and TCM courses in Beijing are combined with Chinese experts of private clinics or Hospitals. That way we can learn how the public and private healthcare system of China works. See a different kind of patients and discover more technics and possible treatments. The trainings require that we visit multiple hospital departments, at the inpatients areas and the outpatient. Therefore we will be trained at pediatrics departments, geriatrics, orthopedics or pain units among others. The trainings at Beijing includes not only the main touristic areas such us The Great Wall, The Forbidden City or Temple of Heaven but also local authentic areas where most of the crowds never go. Thank you to our Western tour leader and Chinese local guides we will discover small authentic markets, private TCM clinics or parks where to practice our new Tai Chi skills. The trainings at Beijing could be tailored according to the group needs and the scheduled activities. For more information, please contact us about the available dates and courses. You can also join one of our schedule TCM Tours that we organize for TCM professionals from multiple countries of the world. Diplomas and certificates by Chinese Universities. Western tour leaders during the whole trip. Hotels with quality, and well located. Kunming, capital of the Yunnan province, has a very soft weather that makes people call it “The spring city”. Such climate conditions are ideal for many rare herbs, so the province is famous because their big diversity on natural medical products. The Acupuncture courses and trainings at Kunming City are hosted by the Yunnan University of Traditional Chinese Medicine and the Provincial TCM Hospital. Because our cooperations with Chinese hospitals, our trainings have access to the private clinics of the most famous TCM Doctors of the Hospital where we can ask and see them how they treat patients. On weekends or after the courses and lectures at the Hospital we arrange extra activities to make the best use of our time in China. 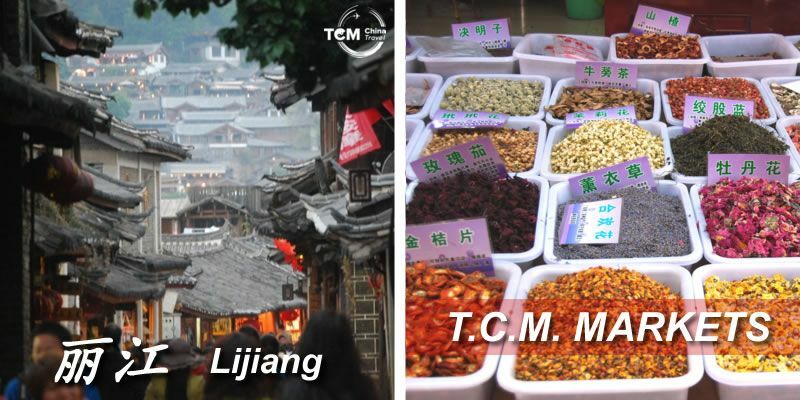 Exclusive TCM Tours are scheduled to discover the ancient Chinese culture and local people lifestyle of Yunnan. Thank you to our western tour leaders that lived at Kunming for years, we will experience the authentic China beyond the common tourist tours. Herbal Markets where just local people go, Taoist temples at the top of the mountains, or Bagua Zhang masters that will teach us some longevity secrets are a few examples of the extra activities that we will experience at the Yunnan province. GUILIN: Acupuncture training at the best landscapes under heaven. Guilin city is one of the most beautiful places of whole Asia. Located at the Guangxi province, south of China, it provides an amazing location where to learn acupuncture and TCM. We will immerse ourself into the ancient Chinese culture, discover unique landscapes painted by artist for centuries, and improve our therapeutic skills. The trainings and courses are hosted by the public Guilin TCM Hospital. The courses are available from just 7 days for groups that will have trainings in more than one Chinese city, to 22 days for the groups that would like to do the full intensive program at the Guilin Hospital of Traditional Chinese Medicine. Do our trainings at different locations will give us the chance to observe patients with different pathologies. Many health problems in China are related to the diversity of the climate conditions or lifestyle. That way we will increase our expertise on a vast diversity of illness. Besides, Guilin has become one of the most visited cities in China because their amazing karstic mountains and rivers. On weekends, we will explore those places led by our Western tour leaders and Chinese local guides. Our training at Guilin will always include extra activities to visit ethnic minorities villages, endless Chinese rice terrace, Yangshuo fisherman’s village, or the Crouse at the famous Li River. At Guilin and Yanshuo we will have the chance to connect with experts in Acuputomo technics, Acupuncture and Tai chi quan. They will teach us how they use their traditional TCM technics in the current Chinese modern society. Remember that you can join one of our Acupuncture Courses in China for professionals. Check the availability, dates, prices and itineraries for free. ¿DO YOU NEED TAILORED TRAININGS? From 12 or more people. Flexible dates. Trainings at TCM Hospitals and Universities. Course durations: From 7 to 24 days. Chance to join individually. Fixed dates. Course duration: From 18 to 24 days.